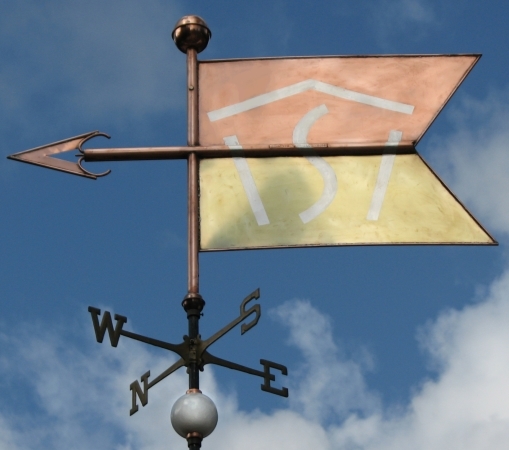 This Decorative Logo Banner #14 Weathervane was created to match the logo on the gates of the beautiful Oregon retreat, Silvies Valley Ranch. 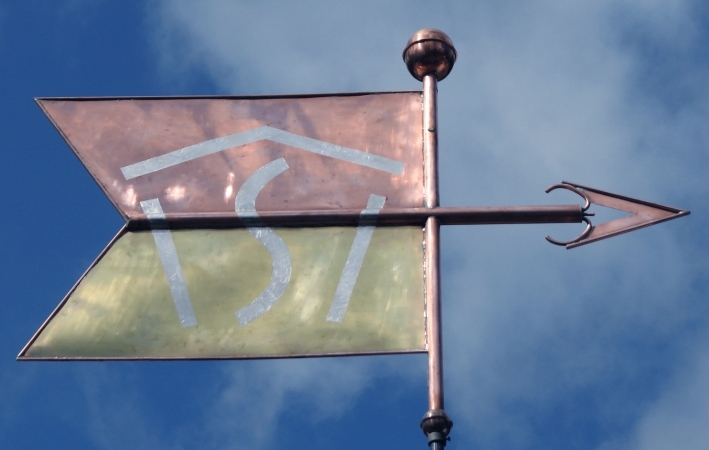 The Silvies logo has been applied to the banner in palladium leaf. We enjoyed working on the design for this Banner, and think it interesting enough that others may want to use it for their application. 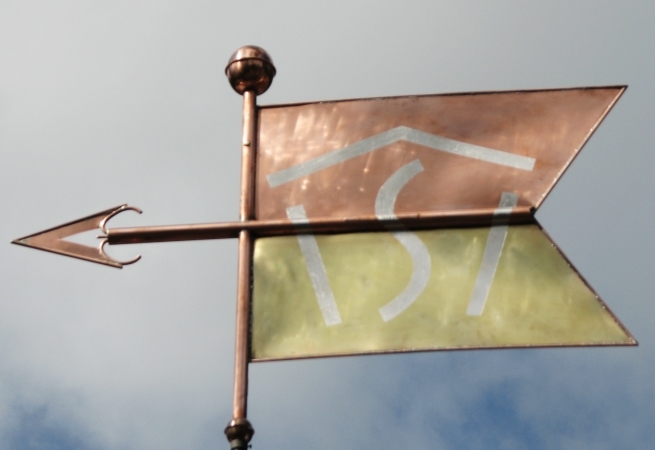 The copper top section and brass bottom on the vane will weather with slight differences, maintaining a sophisticated design element. Also shown here is an optional milk glass globe on the rod. 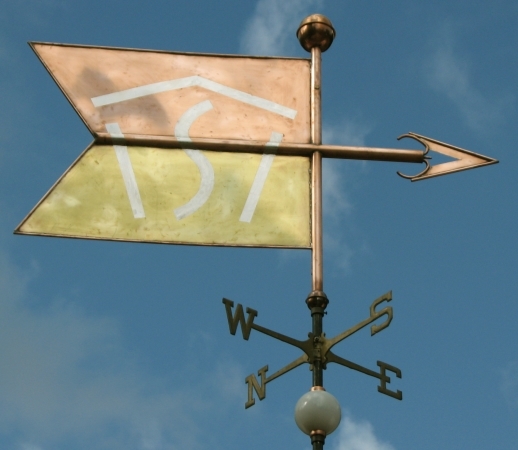 At the time we discuss your order with you, we will work together to determine the best size weather vane for your location, the metal options that create the look you want, and any other specifications that will make the vane, and logo suit you, your family, your business, or your institution.